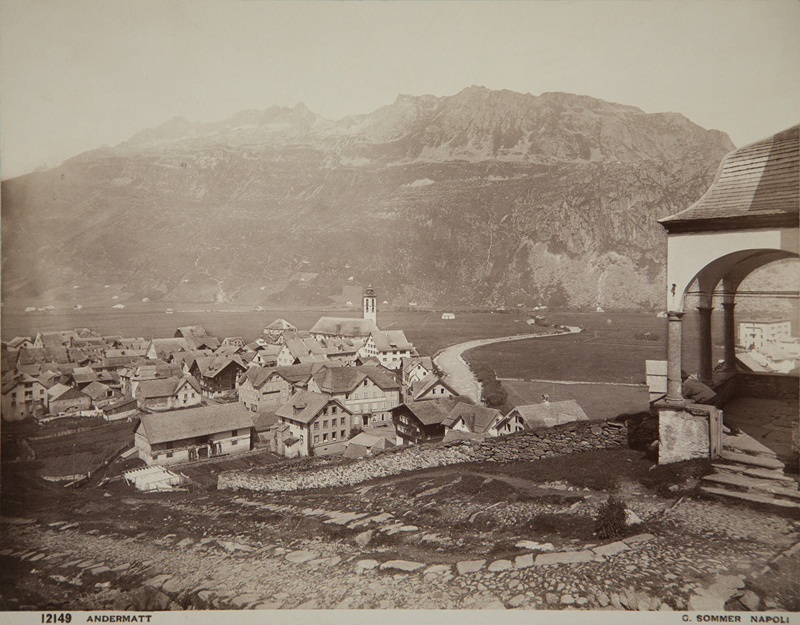 About this objectView of the Swiss village of Andermatt with the Alps in the background. Subject and Association DescriptionGiorgio Sommer was born in Frankfurt in 1834 and had photographic studios in Switzerland and then, for the rest of his life, in Naples. Sommer’s studio was one of the most prolific in Italy and focused on scenes of nature, ruins, and everyday life in Italy.